Onder H. Letter regarding the article “Lumbar opening pressure and radiologic scoring in idiopathic intracranial hypertension: is there any correlation?”. Polish Journal of Radiology. 2018;83:353-354. doi:10.5114/pjr.2018.77816. Onder, Halil. 2018. "Letter regarding the article “Lumbar opening pressure and radiologic scoring in idiopathic intracranial hypertension: is there any correlation?”". Polish Journal of Radiology 83: 353-354. doi:10.5114/pjr.2018.77816. Onder, Halil. "Letter regarding the article “Lumbar opening pressure and radiologic scoring in idiopathic intracranial hypertension: is there any correlation?”." Polish Journal of Radiology, vol. 83, 2018, pp. 353-354. doi:10.5114/pjr.2018.77816. 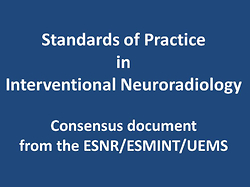 I read with great interest the article by Tuncel et al., in which they found no association between lumbar opening pressure (LOP) and radiological scores based on cranial magnetic resonance imaging (MRI) and contrastenhanced MR venography in patients with idiopathic intracranial hypertension (IIH) . I appreciate the authors for conducting such a smart study, which may add substantial perspectives to our understanding of the underlying pathophysiology of IIH. However, I would like to comment on the article, for a better understanding of the report, and give some new perspectives.